Join us today to make this ADORABLE terrarium. You’ll have the choice of Shelly the Mermaid or Danny the Dino. 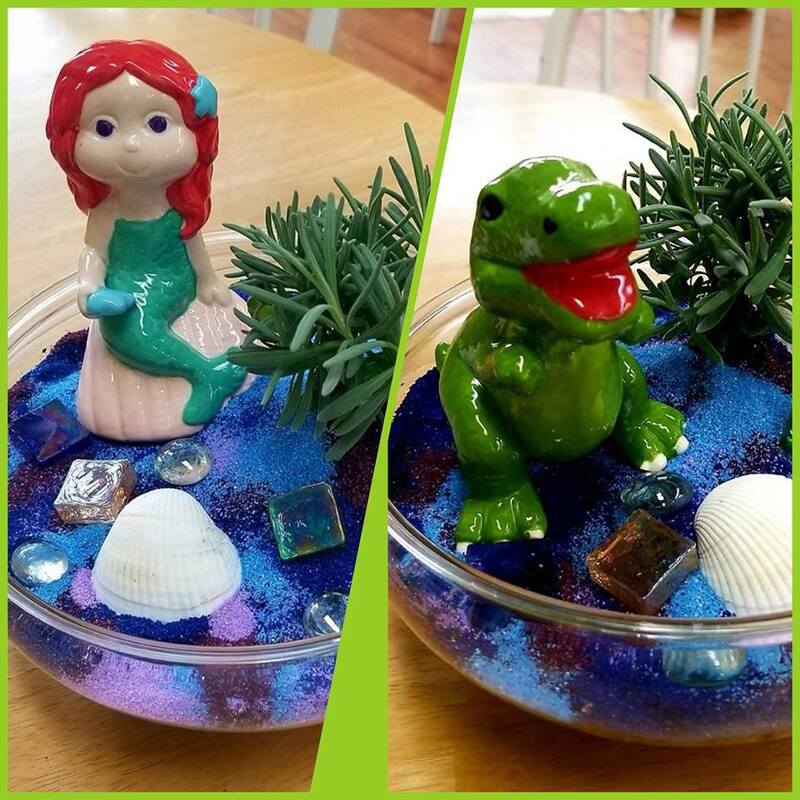 After painting your piece you will then design your planter with color sand, shells, and add you succulent plant. You will take the planter home and come pick up your painted piece in one week, completing your terrarium. $26 each.